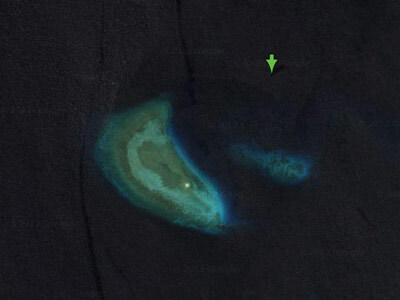 Little Angel Reef is located off the western side of Pulau Moyo (Moyo Island) in the Bali Sea. An approximate GPS mark for the dive spot is 8° 13' 43.3"S 117° 28' 39.8"E (using WGS84 as the datum). The site is located about 300 metres to the south of the GPS mark. The actual site is a sand hill that is about three to four metres below the surface at low tide. 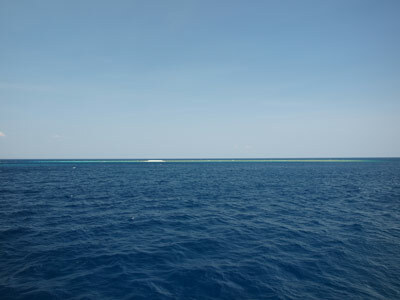 The top of the reef is relatively flat sand with some coral bommies. On the southern side the sand slopes steeply down to 40+ metres. The northern and eastern sides slope more gradually. As with virtually all dive sites that you do when on MV Mermaid II, you use the RIB (rigid inflatable boat) to get to the start of the dive (and also to get back to the boat). The RIB will drop you upstream of the current. We were dropped on the eastern side of the site into about eight metres of water. We had to swim a little into the current but after a few minutes it was behind us. We headed around the south side of the site. 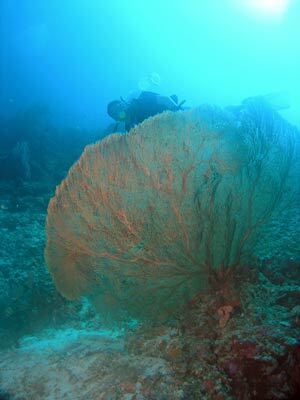 As mentioned, the southern side slopes steeply and there is a lot of coral, in fact it is mostly coral with sand in between with one large sand patch. 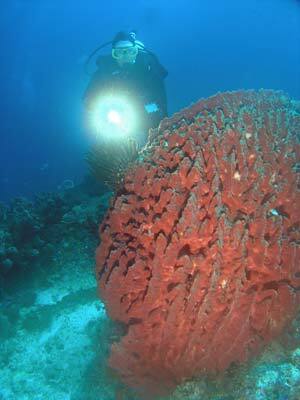 There are lots of large gorgonias and sea whips and plenty big barrel sponges. 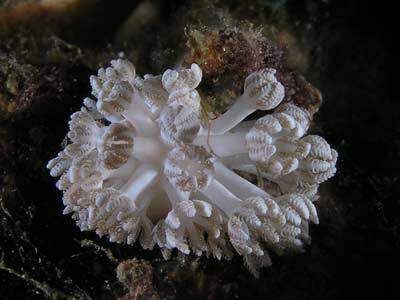 There were also a lot of very nice soft corals on the slope as well. 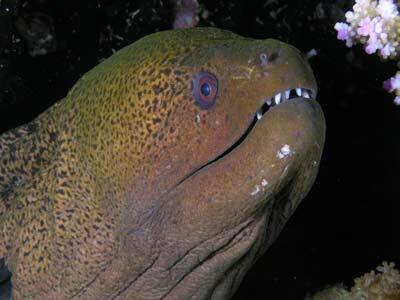 We saw quite a few giant trevallies along the way as well as the normal surgeonfish and wrasse. We continued to the west on the southern side, dropping to about 30 metres after six minutes. From here we gradually ascended to 18 to 20 metres over the next 10 minutes. We stayed at that depth for another 12 minutes or so. By this time we had reached the western end of the reef and the current was starting to come into our faces so we turned around. We started another gradual ascent to 10 metres and then after another 10 metres we started to ascend to the top of the reef. 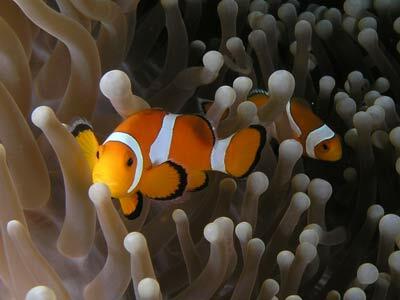 The shallower sections had a lot of anemones, including ones with clown anemonefish (Nemo), large moray eels and a few nudibranchs. 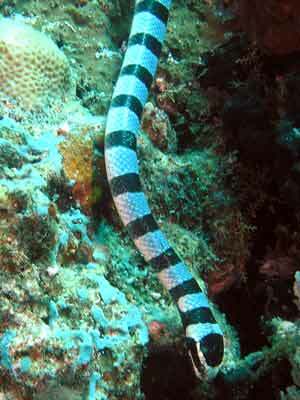 We even saw a striped sea snake which was easy to photograph and video as it was not all that interested in leaving. 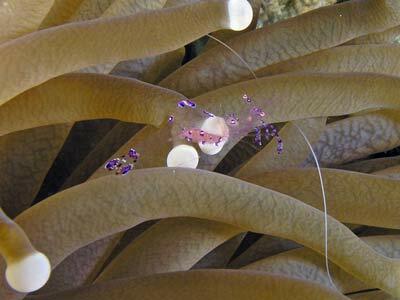 There were also a lot of pink/purple coloured glass shrimps in the anemones and we saw lots of schooling fish. This was an excellent last dive of the trip, as good as any dive you would ever want to do. The visibility was probably 30 metres and the water temperature was about 27ºC. Click here to return to see the dive profile from my computer. 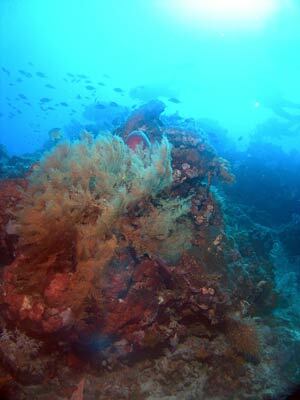 Located right near here was Angel Reef which we did as the first dive of the trip on the way back from Komodo. It was also an excellent dive site. Click here to read about that site .